HomeCelebsPriyanka Chopra and Nick Jonas' latest pictures will make you want to head for a vacation! Priyanka Chopra and Nick Jonas' adventures don't seem to be coming to a stop anytime soon. The duo is constantly on the go and they make sure they have fun wherever they are. This time, the couple along with a few other family members including the Jonas brothers, Sophie Turner and Priyanka's mom Madhu Chopra have travelled to the ski resort town of Mammoth Lakes, California. And the pictures that have been posted online will make you want to pack up your bags and head for a vacation too! Priyanka took to her Instagram account to share images of her enjoying with everyone else as they played in the snow. She captioned the pictures, "Winter diaries.. family.” She even shared an adorable picture of her cuddling with Nick as the two watched TV together. Priyanka and Nick recently tied the knot in two wedding ceremonies - a Hindu ceremony and a Christian ceremony, at the Umaid Bhavan Palace in Jodhpur. Post their wedding, the couple also hosted three lavish receptions, one of which was in Delhi while the other two took place in Mumbai. Nick's parents also recently threw a small reception party for the couple in Charlotte, North Carolina. Well, we wish a lifetime of happiness and joy to them. Stay tuned for more updates. 1Priyanka Chopra and Nick Jonas' latest pictures will make you want to head for a vacation! 4Will Sonam Kapoor play the leading lady opposite Akshay Kumar in 'Sooryavanshi'? 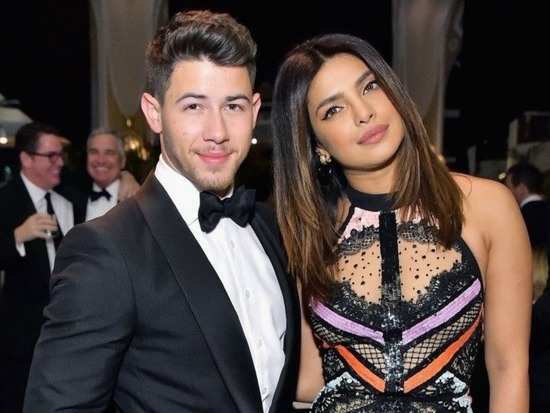 9What Nick Jonas gave Priyanka Chopra's bridesmaids in exchange for his joote will leave you stunned!